Here’s a figure that I’ve had for not too long. 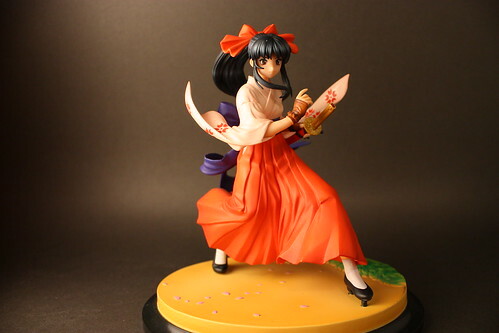 Sakura Shinguji, from Sakura Taisen. She’s 1:10 scale, PVC. 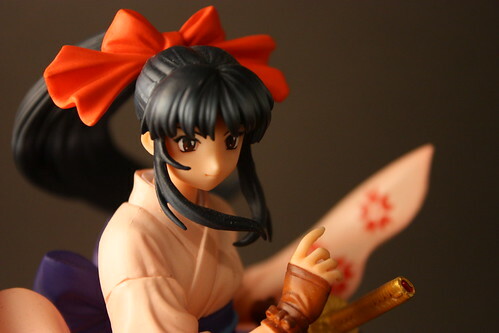 Made by Good Smile Company’s Max Factory. Considering her size, the detail on her is very meticulous. You can’t even tell she’s a small figure. Actually, the size of it adds to the overall neatness of this figure. The display base is nicely decorated, adorned with a golden pathway and fallen sakura blossoms. I wish I had time to do some photoshop, because I’ve got some ideas for this figure. 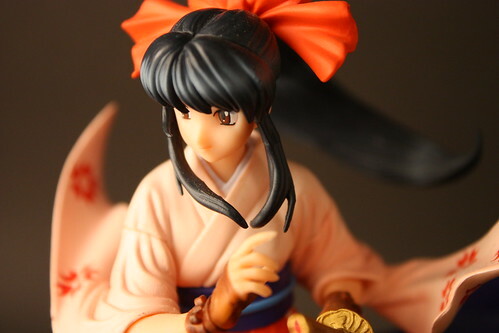 A close up shot of her shows some excellent detail in both her eyes, and her hair. The pose is quite dynamic, and looks great at multiple angles. Close up from the other side. Check out the detail on her glove! And that face is absolutely adorable! You may be wondering why she’s in a box. Yup, she’s for sale. 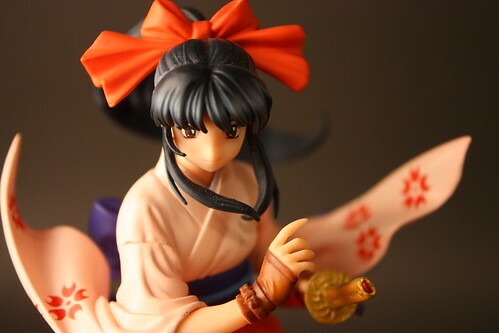 Why do I want to sell such a wonderful figure? As I had said earlier, I’m clearing some room. 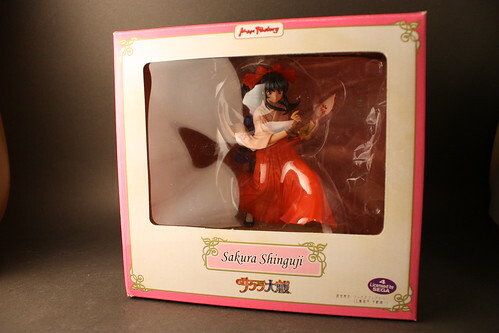 If you’ve read My Story, you’ll know that I already have a Sakura Shinguji from my wife. Though the quality if this figure is obviously far superior, I think that I don’t need to have two anymore. If I had the space, I’d keep her. She’s up for grabs here first, for my readers if anyone is interested, send me an email at info (at) radiantdreamer (dot) net. UPDATE: This figure is now sold. Domo arigato! I didn't tell anyone. Only a select few knew that I had left for Singapore, and only those in Read more! how much do you sell it? dang, sorry! She’s been sold a long time ago. By the way, are you aware that Aizu used to sell 1/6 scale coldcast figure of Sakura in white swimsuit? Really looks nice. Correction: scale is 1/4. Not 1/6.